Hello everyone I am texturing a car using the OTL paint shader. Is there a tire shader or a good way of starting 1 in VEX. Thank you Mark your comments are greatly appreciated!! Do you have any clue as to how procedurally do a shader for the tires. I can wip something up in photoshop but I prefer procedural shaders. I am well versed with Renderman pro tools. I created the shader there once before. I just don't seem to be able to find a simple way to do the same in Houdini. When you ask about a tire shader, are you referring to a shader for the black rubber material or are you referring to some sort of tread displacement? Is there a reason why you want this sort of thing to be created procedurally through a shader? It's so much more easily achieved through a displacement map, or, better yet, with geometry. Good point stu will give all three a shot and see what comes out the best! Thanks for the comments and recommendations.. 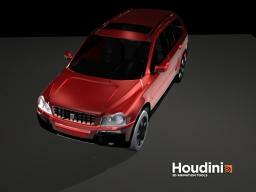 Check out these tutorials with some tips on creating a studio enviroment for car pictures. Car photos are all about reflections and highlights. Yep, guys at Maxwell forum have a virtual light box for product rendering... but I think that they have to manually adjust the pannels, etc... 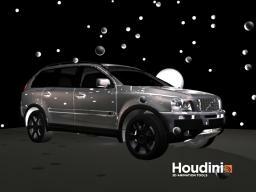 I don't know of anyone using Maxwell+Houdini. They are mostly maya, 3dsmax and cinema4d i think. You wouldn't believe how theses guys are fixed in the idea of "physicaly correct render". Thanks Andz, I will check out the links and give it my best shot. I am at the moment using the rotating table D.A provided for the animators. Micheal I will attempt to create a Digital Asset with the perfect setup. At the moment I am working on Demo Reel work have to get a job soon!! Specular Highlight. If you use pbr it'll be appropriately shaped and sized (assuming you're using area lights), as opposed to the default round highlight that you'll get in micropolygon rendering. And if you have to use micropolygon rendering and want shaped highlights, I'd recommend placing constant shaded geometry where the lights are and either raytracing the reflections or generating an environment map. This method is especially effective if your geometric light sources aren't flat white, but are images of genuine stage lights. maybe someone can help about it. Cheers. 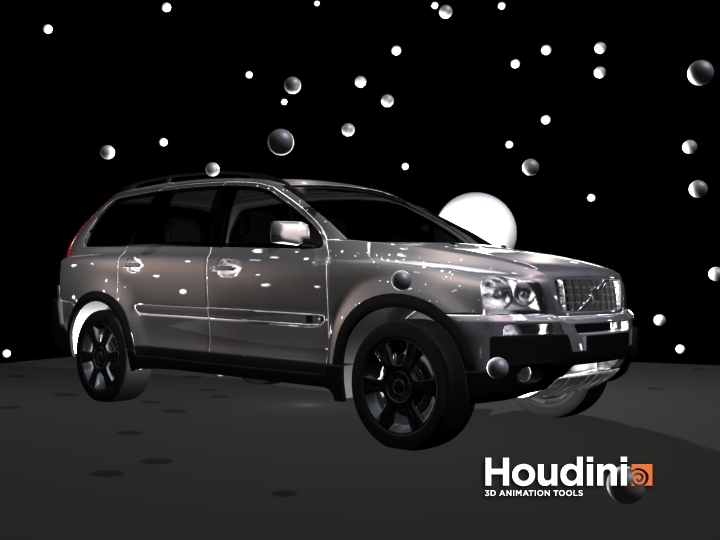 PBR is a completely different rendering scheme built in to Mantra for Houdini9. It stands for Physically Based Rendering. It is similar in theory to Maxwell where you describe how a surface is to behave when illuminated, then Mantra as a black box will handle all the light transport to properly illuminate your surface. You simply enable parts of PBR to do more physically correct rendering (caustics, etc.). This is in contrast to the default MicroPolygon scan line rendering engine in Mantra where you as the user have to write the lighting model or use lighting models written by other shader writers. That is done in the illuminance loop where each light in turn is passed in to the loop and you do what you want. Mantra also has a built in raytracer that can be run in isolation or in combination with MicroPolygon rendering. 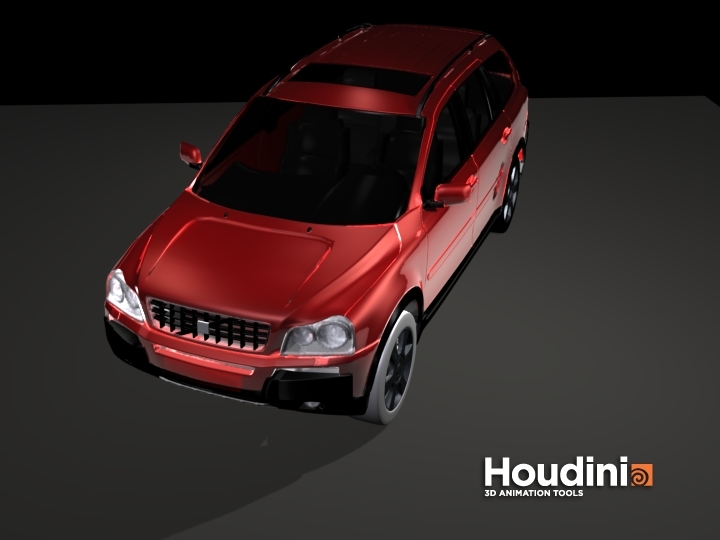 If used in this hybrid raytrace-micropolygon mode, the principal surface shading is handled with micropolygons and the subsequent rays use the ray tracer to handle reflections, refraction and light gathering. Mantra has yet a fourth render engine, the volumetric renderer. Think of Mantra as RenderMan, Maxwell, Air and Mental Ray plus a nice volume renderer all wrapped up in to one seamless rendering interface and you are not far off the mark. With all of these features "built-in", I see Mantra as the most amazing value in this industry! All you need is a few Batch licenses to free Mantra up on any render farm.